The Alugoro (405) is the third of the Nagapasa-class submarine. DSME picture. Indonesian Defense Minister Ramisard Ryakuda and Chief of Staff of the Indonesian Navy Admiral Civi Sukma Aji attended the launching ceremony. For the record, following an international tender, DSME signed on December 20, 2011 a contract worth $ 1.1 billion to build three submarines DSME 1400 submarines for the Indonesian fleet. They are an evolution of the German Type 209/1200 which was built for the Republic of Korea Navy in the 1980-1990 years (Chang Bogo-class). The DSME 1400 project is an upgrade of the built-under-license Type 209/1200 with increased length (up to 61.2 m) and displacement (about 1,400 tons underwater). 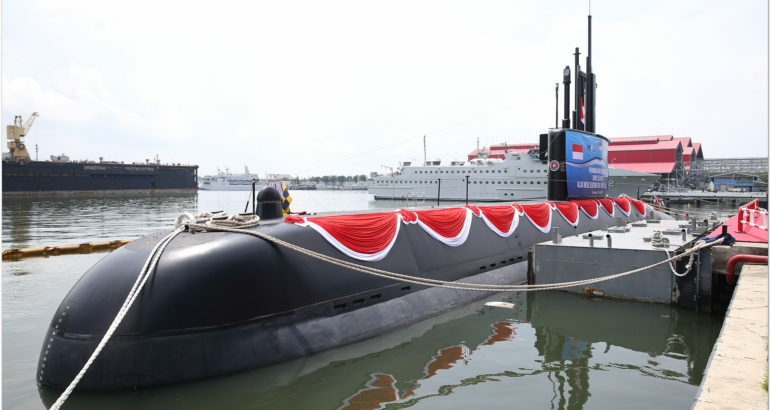 Under the terms of the contract, the first two boats for Indonesia were to be built by DSME in South Korea with delivery in 2016–2017, and the third submarine was to be built locally (actually assembled from sections) by PT PAL with technical assistance from South Korea with planned completion in 2018. The Indonesian contract was the first breakthrough of the South Korean shipbuilding industry on the world stage in terms of submarine shipbuilding. It is noteworthy that in this case the South Koreans won over not only the Russian proposal to build two Project 636 /Kilo-class submarines but also the proposal of the original 209/1200 submarine builder, the German company Howaldtswerke-Deutsche Werft (TKMS) participating in the Indonesian tender in partnership with Turkish shipyards. 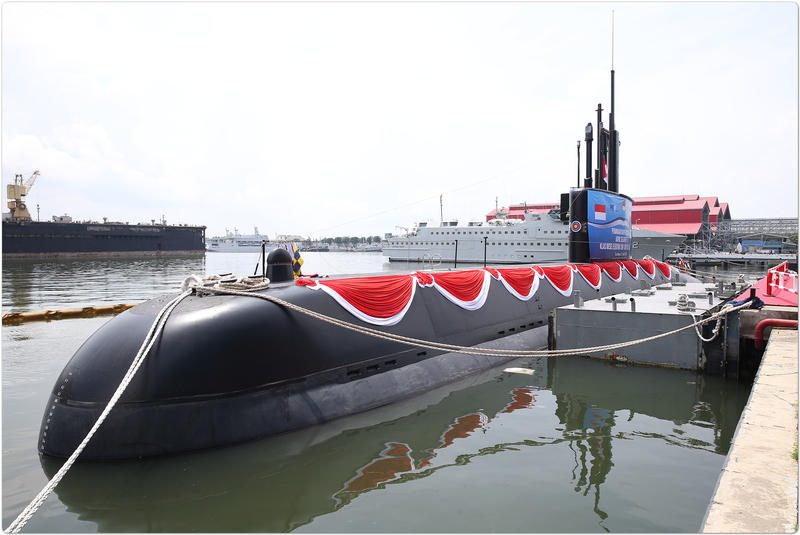 The first submarine for Indonesia, Nagapasa (403), was launched by the DSME shipyard in Okpo on December 3, 2013. The Nagapasa launch ceremony took place on March 24, 2016. Factory sea trials were started in July 2016, but took longer than planned to fix a couple of issues (in particular, a lower than expected full speed underwater was detected), as a result, the transfer of the Nagapasa to the Indonesian Navy took place on August 2, 2017, nine month later than what was set in the contract. The submarine arrived in Indonesia on August 28, 2017. The second boat Ardadedali (404) was launched at the DSME facility in Okpo in 2014, launched on October 24, 2016 and transferred to the Indonesian Navy on April 25, 2018, arriving in Indonesia in June 2018. 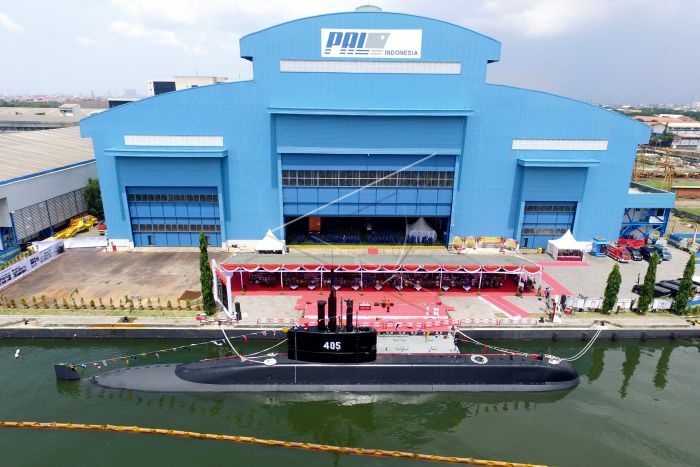 As for the construction of the third submarine Alugoro (405) its construction started only in 2016 at PT PAL in Indonesia and was conducted at a relatively low rate, although 80% of the content is imported. The launch of the vessel was originally scheduled for October 2018, but was repeatedly postponed. The launch ceremony already scheduled for February 28, 2019 has also been rescheduled. The commissioning of Alugoro is now set for 2021. At the same time, the Indonesian Navy is set to continue the construction of submarines in Surabaya. In early April, the President of PT PAL Budiman Saleh announced that his company plans to build nine more boats of the DSME1400 project. DSME signed today a contract worth US$1.02 billion to sell three 1,400-ton submarines to Indonesia as part of the “Batch II Submarine Project”.